Medium price range (around 70 euros per night): I stayed at the brand new Motel One Wien Hauptbahnhof, which was right across Vienna's equally new central station for convenient public transport links. From my room on the 13th floor, I also enjoyed a very beautiful view of Vienna. Budget (from about 17 euros per night): Check out the dorm rooms at the Wombat’s Hostel right across Vienna's famous Naschmarkt. Thanks to Vienna's well‐connected metro (UBahn), tram and bus network, it's easy and quick to get around by public transport. A good option for visitors is the Vienna City Card, which give you unlimited access to all public transport for either 24, 48 or 72 hours. Plus, you'll get around 210 discounts at popular attractions, museums, shops and restaurants. Another good option to get the most out of your Vienna stay is the Vienna Pass. Valid for either 1, 2, 3 or 6 consecutive days, the pass includes access to all popular visitor attractions in Vienna (and trust me, there are loads to choose from…). All of the following attractions are FREE with the Vienna Pass! A Hop On / Hop Off Bus tour is a good point to start if it’s your first time in the city and you want to get an overview of all there is to see in the city (and even beyond if you have the time). A Guided Walking Tour introduces you to all the main sights in the historic city centre. Woman in Gold: To find out more about the film locations of the movie that inspired me most to book a trip to Vienna, check out my Woman in Gold film review. Other Vienna Film Locations: Vienna is a real hot spot for beautiful filming locations. And you could tick off most of Vienna's must‐see attractions just by walking to these 6 iconic Vienna Film Locations. 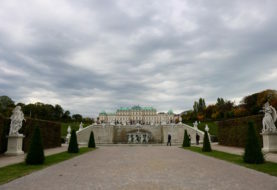 The Belvedere: Talking about film locations and the Woman in Gold, the two Belvedere galleries (Upper and Lower) and the beautiful baroque garden walk in‐between are a must if you are a fan or the film or the painter or both. Klimt's famous "Kiss" is in the Upper Belvedere. The Albertina focusses on impressionist, expressionist and contemporary art. Open until 9 pm on Wednesdays and Fridays. Kunsthistorisches Museum: One of the most important museums worldwide that houses the world’s largest Bruegel collection. Leopold Museum: Really intriguing exhibition about the life and works of Austrian artist Egon Schiele (1890–1918) as well as a few gems by Gustav Klimt. Hundertwasser House + the Hundertwasser Museum: One of the most quirky apartment buildings you've ever seen. To find out more aobut the artist Friedensreich Hundertwasser (1928–2000), visit the Kunst Haus Wien – Hundertwasser Museum. The Wien Museum and the Museum of Applied Arts/Contemporary Art (MAK) both house several paintings by Klimt. Schönbrunn Palace: I'd recommend an early start at Austria's most popular tourist attraction (the gates open at 8 am). The "Grand Tour" through the palace is included with the Vienna Pass. If you have time, you can also stroll along the Schönbrunn Zoo, the Palm House and the extensive Gardens. And if you're in the mood for something sweet, check out the Apple Strudel Show with a free sample and recipe (all FREE with the Vienna Pass). 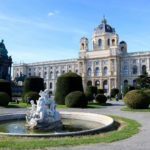 Hofburg Imperial Palace with Sissi Museum: Located in the heart of Vienna, the former seat of Austria's powerful royal Habsburg family is a must‐see. Here, you'll learn more about the world‐famous Empress Elisabeth "Sissi" of Austria (1837–1898). In the popular "Sissi" movies made during the 1950s, she was portrayed by Vienna‐born actress Romy Schneider. 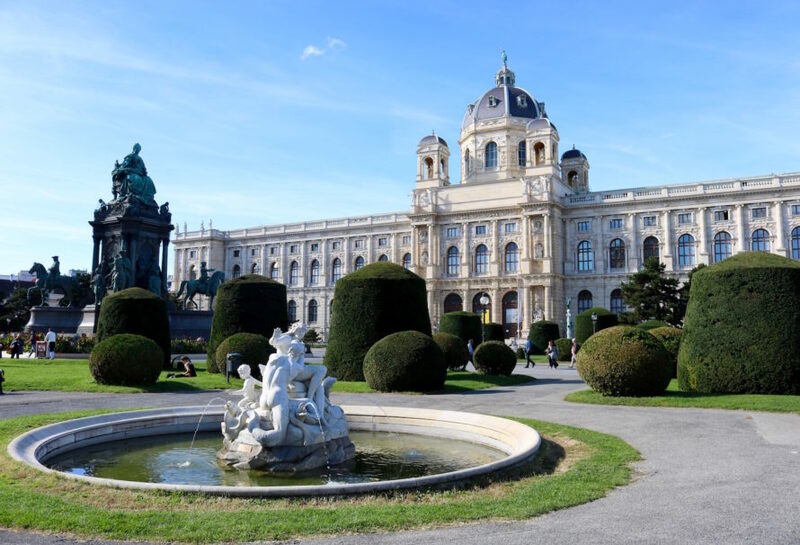 To dig even deeper into the history of the Habsburgs (quite literally), visit the Imperial Treasury Vienna and the royal family's Burial Vault. The Winterpalais: More royal sate apartments, this time those built for Prince Eugene of Savoy. Time Travel – Magic Vienna History Tour: A fun ride through 2,000 years of Vienna’s grand history. Jewish Museum: There are two locations, one near Stephansdom and one near the so‐called "Judenplatz", which also served as a filming location in Woman in Gold. State Hall of the Austrian National Library: If you like the smell of old books and / or impressive architecture. St. Stephan's Cathedral Treasury: The unique church is pretty from the outside and from the inside. A typical Viennese Breakfast is made of a croissant, a bread roll called "Semmel", jam, butter and Austrian cheese. Who would have thought that the "croissant" is not French after all, but was only introduced by Austrian Princess Marie Antoinette, when she married the French King Louis XVI in the 18th century? Trying the famous Sachertorte is a must‐do foodie experience when in Vienna. Chocolaty on the outside and fruity on the inside, the cake was named after its inventor Franz Sacher. You could have one at the actual Hotel Sacher, but I preferred to pay a bit less at Café Goldegg. This brings us to Vienna's world‐famous Coffee House Culture. You'll find many of such traditional "coffee houses" scattered all over the city, for example the Café Sperl, which served as a filming location in Before Sunrise (1995) and A Dangerous Method (2011). For dinner, I would recommend eating at a traditional Austrian "Gastwirtschaft" (such as Huth for the original "Wiener Schnitzel" or the vegetarian ravioli alternative). If you're a wine fan, you'll find a large selection of locally produced Austrian wines called "Heurige" here. Stroll along the Nachmarkt, Vienna's all‐year food market, for some authentic street food flavours. Spanish Riding School: If you've always wanted to see horses doing ballet, check out the morning training shows (10 am to 12 pm) at the Imperial Hofburg (FREE with the Vienna Pass). The Prater: At this all‐year fun fair, you can take a ride on the Giant Ferris Wheel (by the way another popular filming location featured in several Vienna‐based movies) or check out Vienna's Madame Tussauds. Both are FREE with the Vienna Pass. A great activity for romantics is a ride in a horse‐drawn carriage, which leave all‐year‐round from the Hofburg. Food‐wise, Vienna is famous for its unique Coffee House Culture as described in the "Foodie" section. Trying a piece of Sachertorte and a Viennese coffee speciality should definitely be on your Vienna Bucket List. Disclosure: For my research during this trip, I received a complimentary "72 hours City Card" and two vouchers for meals from the Vienna Tourist Board. As always, the views expressed in this blog post are entirely my own and thus reflect my personal, unbiased experience.